Late night & you want a snack and a drink – nothing too fancy, but nothing too boring either. Go to this place. Of you eat meat they do great looking burgers – including a wallaby one that sounded pretty great. If you’re me then have fries for dinner and save room for a luscious dessert. 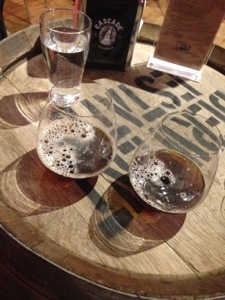 Start with Moo Brew Porter. Dark beer for a dark night. If you are sharing the staff split it between two glasses which is just lovely. 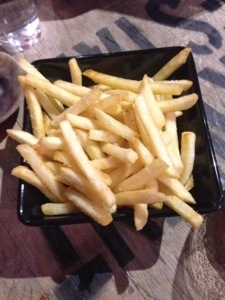 Tuck into your crispy shoestring fries. Then a glass of a gently sweet blushing moscato. 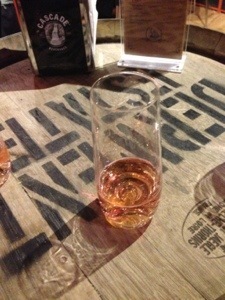 Again lovely staff split one glass between two. I love sharing, and love places that make it enjoyable. I wanted to order the ice cream slider on their menu but it was sadly out of stock. 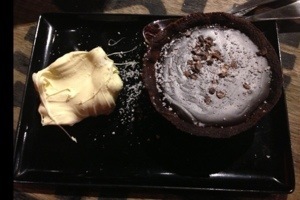 Instead they had a salted caramel and chocolate tart. 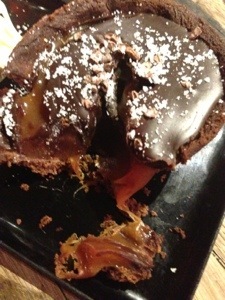 This was really something, a very thick salty caramel and oodles of it on a chocolate short pastry base. Was glad I was sharing, oof! There is no polite way to eat this. The Sinksenfoor is an institution in Antwerp. A giant fair along the Schelde that stays for around 6 weeks each year, indicating for many young and old that Summer is starting. 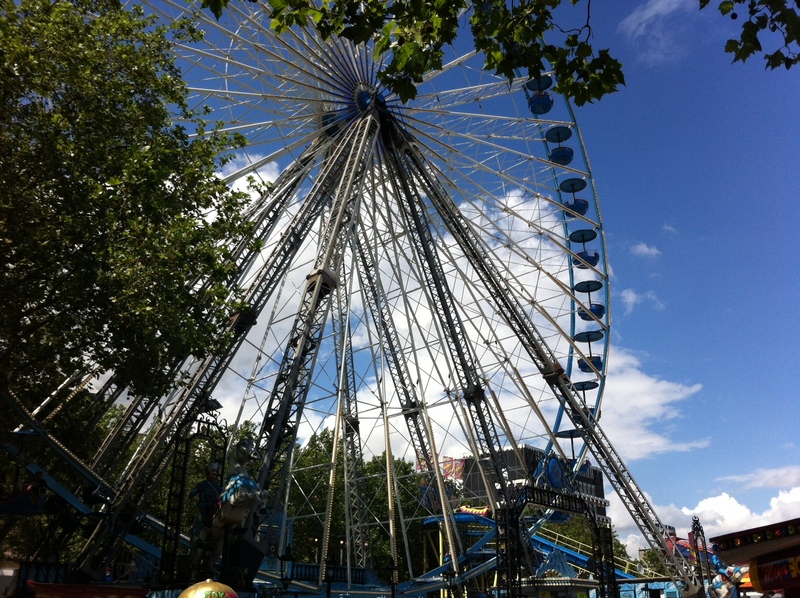 The amazing ferris wheel for incredible views over Antwerp. 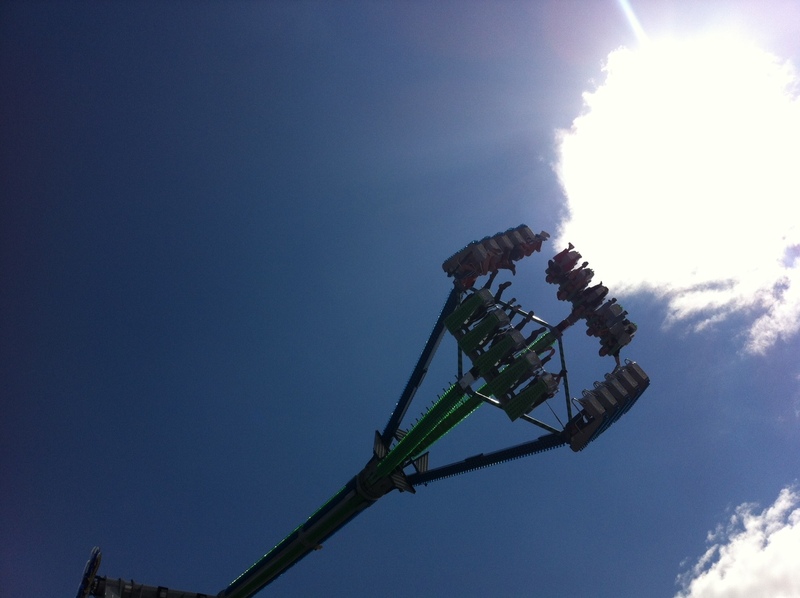 The Sinkenfoor is also a proper fair in the most important way – RIDES! There seems to be a lot more fun houses and mirror houses than at similar fairs in Australia. Fun for someone like me who is a total wuss about rides like rollercoasters and pirate ships. 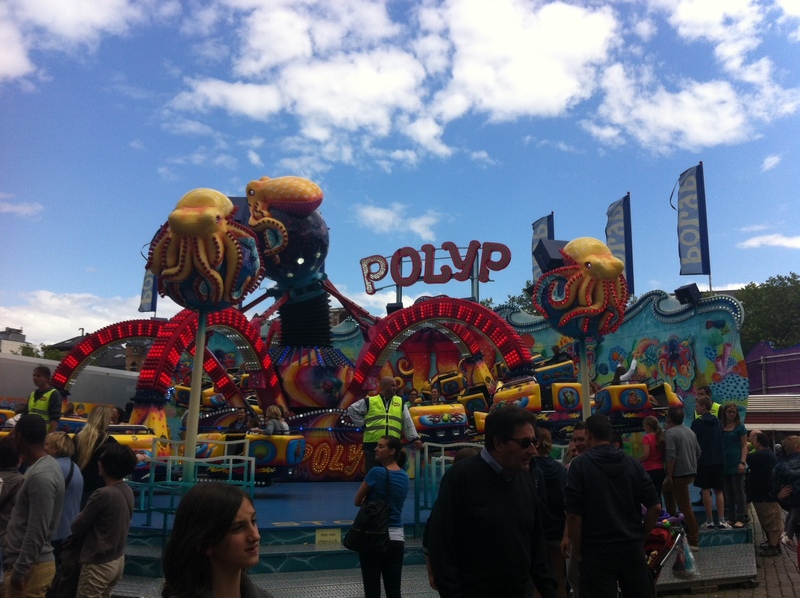 The amusingly named polyp. I wonder what language this actually works in – to me it is more of a medical condition than a ride. 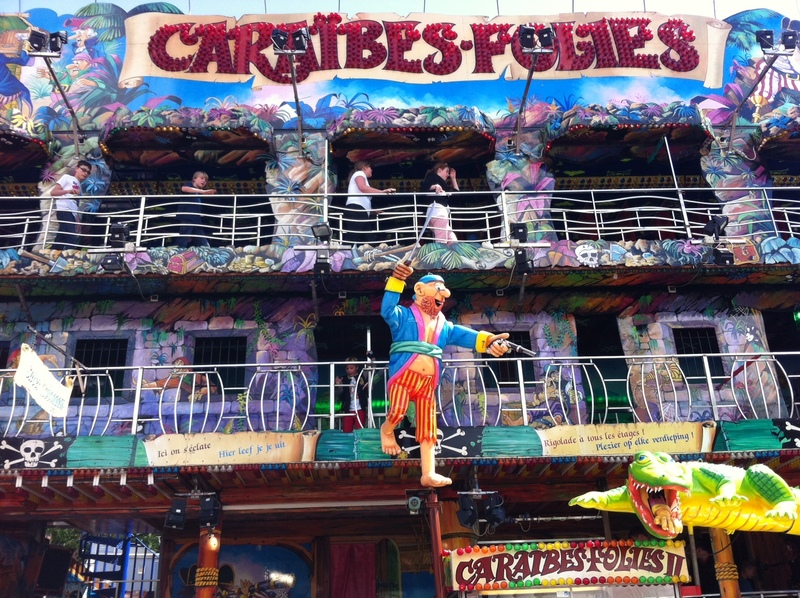 The screaming caused by this ride is pretty universal – no Flemish language skills required. 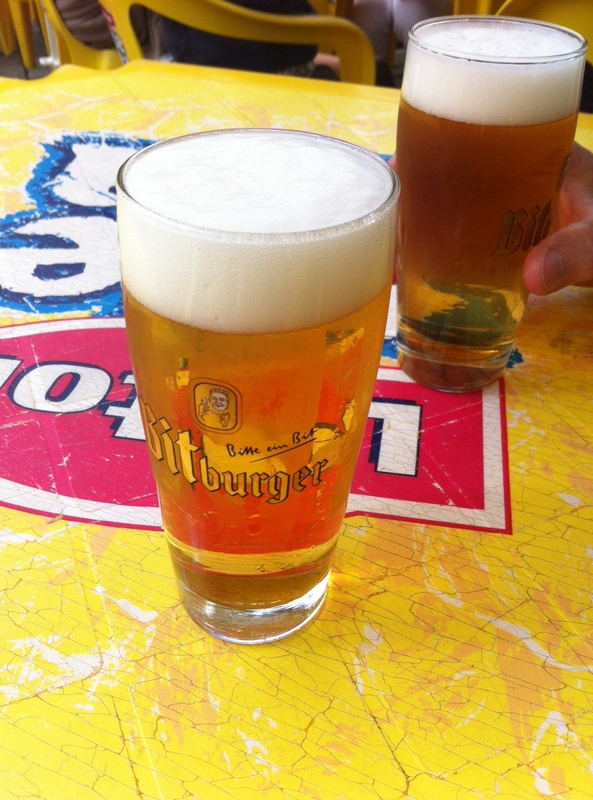 Time for a short break and a Bitburger. Last day of the fair means you can get two of these for 2 euros. Cheapest round I’ve bought here so far. Then to the Desire de Lille stand for a snack. 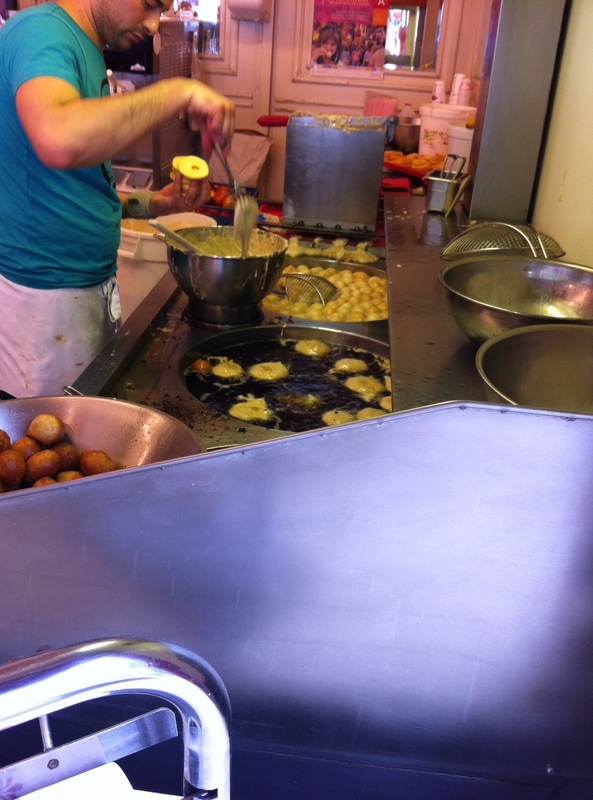 Here they are making the apple beignets – apple slices in batter fried and then served with a dusting of icing sugar. For me however a day at the fair means smouteballen! Smouteballen (also known as olliebollen) are nothing more than a fried, yeasty dough. The inside remains moist and a little chewy, the outside is hot and greasy and the icing sugar always goes everywhere. It is very tempting to eat these immediately but letting them cool down a little is advised, if difficult. 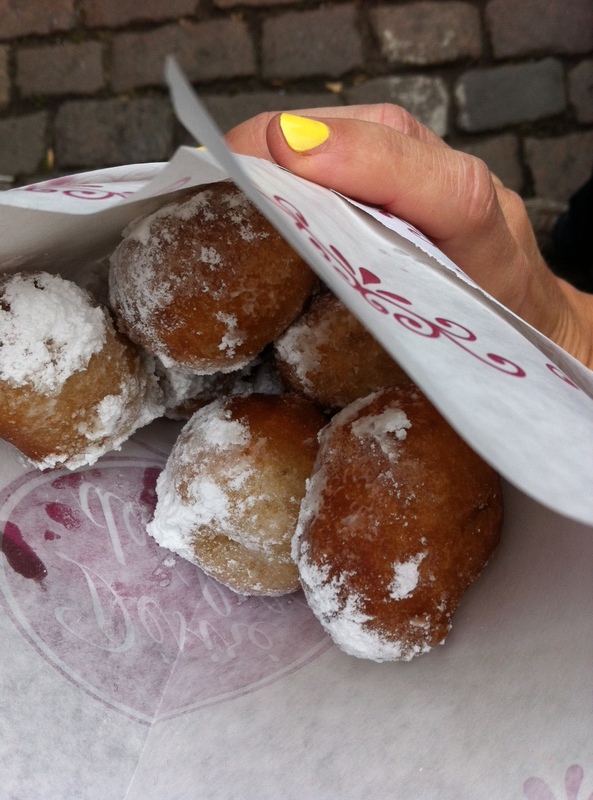 8 smouteballen for 4 euros – share between two. 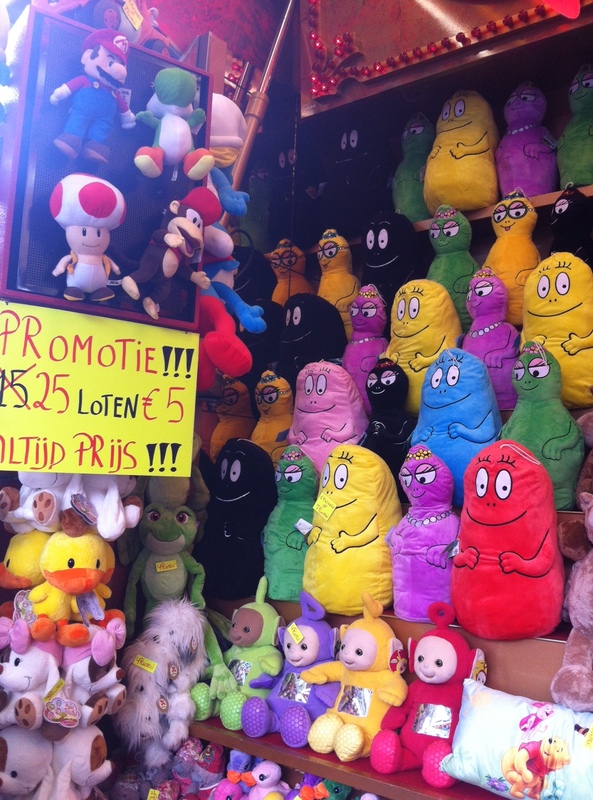 One last look at the sideshow alley games – almost tempted by these Barbapapa plushies but suspect they would not fit in my check in luggage to head home. Open Friday and Saturday night from 2-3 pm till 1am.